L-Carnitine assists in the breakdown of energy stores in cells and plays an essential role in making fat available for muscle tissue – promoting muscular energy. 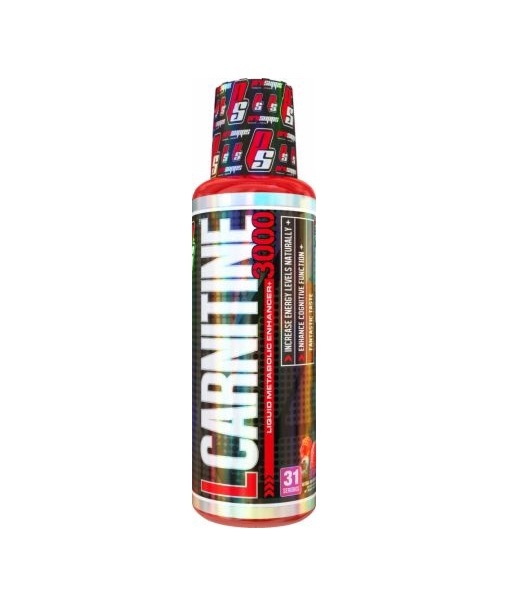 * L-Carnitine utilizes the long-chain fatty acids that are present in your body for energy and also supports a healthy environment for lean muscle growth and development, which leads to a strong, lean and defined physique. * L-Carnitine is not a stimulant fat burner, and with the many other general health benefits L-Carnitine should be part of your supplement stack. Q. What does L-Carnitine do? Q. Does L-Carnitine 3000 contain stimulants? No and in fact L-Carnitine is one of the top 3 best weight management ingredients found on BB.com and a lot of people refer to L-Carnitine as “Natures Stimulant Free Weight Management Product”. Q. Can I use L-Carnitine 3000 with other weight management products? Yes, as a stimulant free weight management product, L-Carnitine can be used with thermogenics. Directions For L-Carnitine 3000: As a dietary supplement, consume one tablespoon of L-Carnitine twice daily or as directed by a physician or licensed nutritionist. You may also mix with your favorite juice or beverage.